Are Hamsters Good Pets? Having a pet at home has already become very common among people. The animals that are most present in our homes are dogs, cats, birds, fish, and also the small hamsters. The hamster is a small rodent that can be created in any environment, provided there is a cage suitable for your needs. The average life expectancy of the hamster varies according to the “races” but is around 2.5 years. Check out some reasons to have a hamster at home! Hamsters are very cheap animals, even more so when compared to dog and cat expenses. With about $ 20 you can buy a rodent, and the cage usually costs between $ 50 and $ 150. Food and hygiene costs are also low. 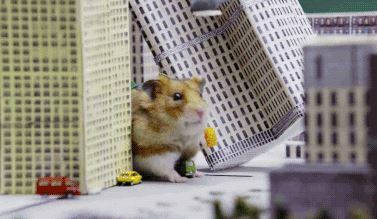 Hamsters can be very suspicious at first, but over time they become very attached to the owner, enabling good interaction between the parties. Despite spending enough time in the cage, the little one can be released for play at home. Of course, you should not abandon the animal, but know that hamsters are not as dependent on affection as dogs, for example. If you spend a weekend away, leave enough water and food that it will turn out very well. Many people think that hamster is an animal that smells bad. If this happens, you can be sure that it is the owner’s fault. By cleaning the cage as often as necessary, you will not have problems with bad smell. Hamsters do not require much space, just have an area large enough to accommodate your cage. But remember that it is very important to get him out there to interact with the owner or the family. Previous post What is the Gestation Period for a Cat? Next post Why does My Cat Sleep on Me?